We are open 7 days per week including Sunday from 8am to 5pm. Miami Tyre Service Gold Coast a division of Brian’s Auto Centre is your Gold Coast tyre centre, trading 7 days per week including Sunday from 8am to 5pm. The latest wheel balance technology is used with every new tyre fitted. Miami Tyre Service also uses the latest wheel alignment equipment for all wheel alignments required by our customers, and performed by our skilled technicians. Miami Tyre Service will take care of all your new tyre requirements, with complete wheel alignment and wheel balance services available,as well as puncture repairs. tyre rim safety inspection, tyre technical advise, and professional tyre recommendations for your vehicles terrain and tyre wear irregularities. 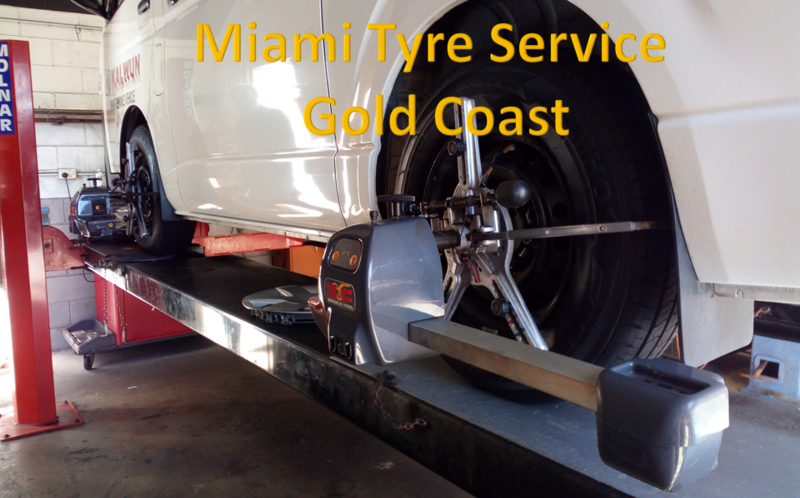 Miami Tyre Service Gold Coast also cater for all major brands for 4WD, low profile rims, Mag Wheels, as well as offering a complete tyre service 7 days per week including Sunday. Out tyre technicians are there to advise you on your safe best options for your vehicle 7 days per week. 7 days per week 8am to 5pm including Sunday at 2060 Gold Coast Highway Miami Qld.